We are experienced in chimney repairs and re-pointing, so if your stack needs attention call us today! Broken, crumbling and damaged brickwork can be a danger to your home and those living in it, so it is essential that re-pointing and repairs are dealt with quickly. 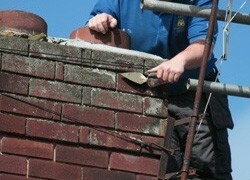 Re-pointing is quick and easy to do, so to save the cost of replacing your chimney due to age or decay, call us. We are locally based experts who have many years of experience and we are renowned for our expert skill and quality craftsmanship. Whatever your chimney needs, we can do it. Call us on 01482 549 915 for your free estimate!